Some days amazing shower thoughts bounce around your head and you spit out brilliance. Hot water does that for me. Maybe for you it works better with cold water, metal music, or even deviled eggs. Find your mojo. During my personal hygiene this week, I was thinking for a long while how to create a fun, yet goofy way to plan short stories. Behold! I envisioned a random story generator using a simple spreadsheet and my trusty D20. RPG usually stands for a rocket propelled grenade… or a role playing game, like Fable or Quest 64. It just so happens that my made up term “random plot generator” has the acronym RPG. As it turns out, my conception is not entirely original. Plot generator devices have been around since at least the 1930s. Only now, in the 21st Century, you don’t need a spinning wheel mechanisms or complex computer algorithms. You just need a spreadsheet program and a D20. Hmm.. thus, coincidentally, this also works great for D&D character backstories and dungeon planning. All stories should have a carefully planned plot structure… but is that reality? It seems Netflix movie rotation is full of random, low budget films. I often wonder how those silly things get produced. Honestly, who thought of Sharknado or Iron Sky? Probably… maybe… those writers put various names and ideas on a dartboard, blindfold themselves, and took the best combination of five throws. For example: Aliens + Vietnam + Obama + Quiche + WW3 = Aliens invade Vietnam under the leadership of their supreme leader, President Obama. The world bands together and starts WW3 to overthrow him after they learn quiche is his one weakness. Is that such a writing strategy a bad idea? It might be a financial disaster, but it’s fun and a challenge. I love JoJo’s Bizarre Adventures because of the beautifully random series of events with utterly serious characters throughout the sagas. That’s fun! How ridiculous of a plot can you create while still remaining faithful to the craft? Anyway, you don’t have to create nonsense. Your list of items in your randomizer can all relate in a theme, have common symbolism, or target a certain genre. My theory is just one way to break writer’s block and get started. Once your mojo is cooking, the world is your oyster. First, I should probably explain what is a plot for anyone unaware. Plot refers to the cohesion of the narrative’s events with other devices of the story, including the characterization, setting, and mood. All stories have a beginning where the chief actors and conflicts are introduced, a middle when the conflicts builds up and intensifies, and a conclusion that resolves all of the conflicts. You might remember those triangle graphs from English class. Characters are introduced, especially the protagonist or main character. His/her goals, motivations, background, and moral alignment is explored in the backdrop of a developing setting. Frodo chilling in the Shire isolated from the war in Gondor. The conflict is introduced and the protagonist must make a choice to accept the adventure and leave the safety of home. Some kind of mentor usually must push the character along and guide him into the unknown. At some point, this mentor dies or otherwise leaves the hero to take up the mantle of the mission. Smaller conflicts stem from the main one and the hero deals with them. Gandalf learns the Ring is evil, Aragorn protects the hobbits on their journey to Rivendell, and Frodo accepts the task to destroy the Ring. But then Gandalf dies fighting the balrog, The Fellowship is broken and is forced to individually deal with smaller conflicts (Isengard, Faramir and the Steward, Arwen-Aragorn love, etc…). The main conflict is finally confronted directly by the hero. The two opposing forces seem neck and neck! The battle could end a number of different ways, leaving the audience in suspense. Frodo and Sam reach Mount Doom. The Ringbearer debates whether to destroy it or keep its power to himself. Sam fights off Gollum as he tries to convince his best friend to do the right thing. Gondor battles Mordor at the Black Gate to buy them time. Our hero discovers some fatal flaw in the villain’s plan (or vice versa), and makes a defining choice that is the turning point of the story. The main conflict is ended. Frodo gives into temptation and chooses to put on the Ring. Gollum’s lust for power is his downfall as he bites off the finger and falls backwards into the fire. The Tower of Barad-dûr collapses and the spirit of Sauron, along with most of his army, is destroyed. All of the smaller conflicts or really “loose ends” are resolved and the hero returns home transformed having learned some profound lesson. The Eagles pick up Frodo and Sam and return them to Rivendell. The hobbits return to the Shire and drive out Saruman and Wormtongue. Gimli takes Legelos into the Glittering Caves. Aragorn is crowned king of Gondor and marries Arwen. Frodo leaves to the Undying Land with Gandalf. Sam marries Rosie. Everyone lives happily ever after. So, that’s the basics of narrative plots. Once you understand the elements, it’s a matter of drag and dropping ideas into each category. You can do this systematically with strenuous thought or you could create a method of randomly choosing elements. Through trial and error, chance may produce greatness. Above is my working example table I created as an illustration. Enjoy the freebie! This works best on a spreadsheet, like Excel, Google Sheets, or Airtable. Try to create at least 5 columns of 20 items each. That’s 100 possibilities for randomness. You need at least 2 character columns (protagonist + antagonist), one for the main conflict, and one for the setting. You could add multiple columns for conflict and set one as a smaller side conflict (subplot). You might want to create columns for the mood, story format, and narrative perspective. In my experimenting, I created an “object” column that could serve as the McGuffin. The trouble here might be actually thinking of the items. If you cannot think of anymore archetypes for characters or settings, look around you! The point is to be as random as possible, so don’t think too hard. Creating individual RPG sheets for each genre is a good exercise to build a handy resource. Alright, so you created your lists on a spreadsheet? Boom! You’ve completed step 1 of my master plan. Next, we get to the random part of the exercise. Your rows should be numbered 1-20. Find a D20 (twenty sided dice or icosahedron for all you noobs) and start rolling! Whatever digit the dice lands on will correspond with the numbered item for that column. Continue rolling until you’ve assigned all the plot element you desire. If you absolutely cannot think of 20 individual items for something, try to at least brainstorm enough to use any of the other Platonic solids. If you don’t have any dice on hand, you here’s a nice virtual roller. There’s something magical about rolling dice with great expectations. It’s like you’re gambling with your story. What will fate decide? At this point, you’ll have a string of terms. You’ll need to connect them in a meaningful way to create 1-2 sentences as the tagline for your story. You could do some rearranging in the order or change the tenses. Some words might work better as plurals or singles. The best way to connect these words is through creative prepositions. These are words that indicate relationship between two nouns in time and space. I am from Miami, but currently I live in Weston. The young Eritrean princess, who lives atop a hill, falls in love with a time traveler from the future Their secret relationship risks disrupting the space time continuum and tearing a hole in the fabric of the universe. Love finds a way. Finally, take that blurp and run with it! Take each part of your thesis, so to say, and start expanding more on the characters and add depth to conflicts. Introduce the characters and setting in the first few pages. Then in the next 4-5 pages build up the conflict. Maybe 3-4 pages in the climax and resolutions. …and voila! You’ve now got yourself the workings of a short story. Of course, there’s more to writing than just having a structure. The characters should be believable, the themes should relate to the audience, and the tone match the genre. 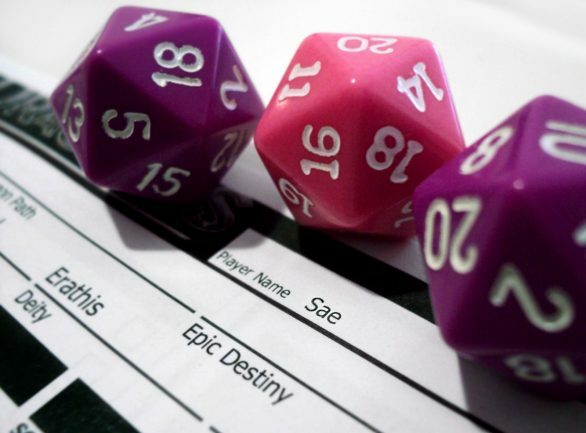 RPG sheets are just tools to get started. You have to start somewhere. It doesn’t matter how slow you go, so long as you keep going. Never give up. You rock.